The decision to unite yourself as a individual in leadership and/or a church or independent ministry with our organization is not to be done without careful consideration, prayer and knowledge of our organization. The Kingdom Of Christ Church Ministries Fellowship Of Churches is committed to building lifetime relationships with those we have been called to lead and serve. Our overall desire is not to rapidly to build a large network of churches, but simply to connect with those churches and independent ministries that the Lord desires us to fellowship with. We are an organization that is not focused the quantity of people, but rather our desire is to increase the effectiveness of pastors and leaders as it pertains to their individual ministry assignments. Our sole intent is to equip and empower leaders by providing valuable information needed to carry out the work assigned to their hands. It is the policy of the Kingdom Of Christ Church Ministries Fellowship Of Churches that all individuals, churches and independent ministries desiring to enter into covenant fellowship with us complete an application. There is a process of vetting (preparation and qualification) the processes in which we make sure that we are making the right decision before entering into covenant fellowship with you. This process is not done haphazardly but with prayer and careful consideration. 1 Timothy 5:22, instructs us not to be quick to lay hands on anyone. Our extensive process of vetting provides legitimacy and credibility to the applicant. During the process if we find that ministerial licenses are not valid or were not obtained by you in the correct manner, we may choose to not turn you away. However, from this point if you decide to pursue membership with us through association or enjoy the benefits of affiliation you MUST be willing to go through the process of doing things the in the right manner. We realize that some have went out with a zeal but not according to knowledge and now realize that they need to be trained in their calling. No one who has chosen to answer the call of ministry should take their assignment lightly. We may be able to help those who are willing to submit to accountability and spiritual authority. No one should operate in a lead ministry role in that you have others serving under you without proper credentials. Just as doctors or lawyers do not practice without a license, consider this your credentials or lack thereof are an indication of the qualification of your profession. Your ministerial credentials provide the certification to the world and also the church that you are indeed qualified to fulfill the weight of the call of God on your life. Please Note: This is not a organization where you are ordained, consecrated, installed as pastor or independent ministry leader and then leave. Those who wish to enter into covenant fellowship or independent affiliation with us must also be willing to submit to background checks. as·so·ci·a·tion - a connection or cooperative link between people or organizations. Associate churches and/or independent ministries become a subsidiary or branch of this organization through covenant fellowship. Subsidiaries of this organization enjoy the full benefits that come through being fully associated as members within this covenant fellowship. af·fil·i·a·tion - alliance with/to, alignment with, covenant fellowship. Affiliate churches are able to participate with this organization as independent entities through mutual agreement. Affiliates enjoy some but not all of the benefits but maintain independence or alliance with another organization. Each church/independent ministry will be required to apply for affiliation or membership through association and interview with a Kingdom Of Christ Church Ministries Fellowship Of Churches presbyter or member of the Board of Directors. Each new church/independent ministry will be required to complete a one year entry review period, in which time an Kingdom Of Christ Church Ministries Fellowship Of Churches representative will visit newly associated/affiliated churches within that period and give a report. Each church/ministry will be an autonomous body and, therefore, must have its own bylaws. If the church/ministry is just starting out, we can help assist you in establishing your bylaws. However, it is also your responsibility to file with the secretary of state and apply with the IRS for your own 501(c) (3) if you have not already done so. While it is not required by the IRS to file for a 501c3, it is required that you file your church with the secretary of state and maintain all yearly fees with your state. You must abide by all current federal guidelines. Section 1. No Private Inurement. No part of the net earnings of the corporation shall inure to the benefit of, or be distributable to, its trustees, officers or other private persons; except that the corporation shall be authorized and empowered to pay reasonable compensation for services rendered and to make payments and distributions in furtherance of the purposes set forth in Article 5 hereof. The corporation shall not have capital stock or shareholders. Section 2. No Substantial Lobbying. No substantial part of the activities of the corporation shall be to influence legislation. (d) Make any "taxable expenditures", as defined in I.R.C. Section 4945(d), which would give rise to any liability for tax imposed by I.R.C Section 4945(a). 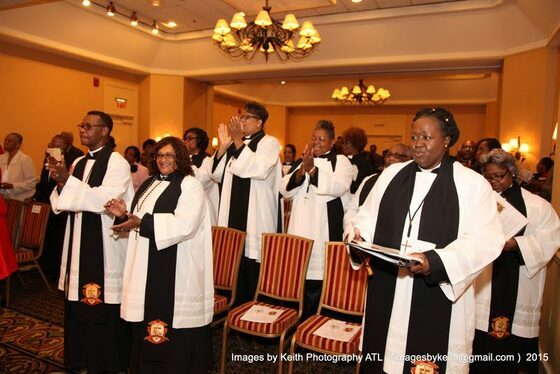 Each church/ministry should be committed to relationship, responsibility, and accountability to the Kingdom Of Christ Church Ministries Fellowship Of Churches and its team of directors and presbyters. Once a year, the each church/independent ministry is to submit a report describing both the ministry and also the financial activities throughout the past year. In addition, an proper system of financial recording must be functional in the church/ministry, reflecting financial integrity of your ministry. As we are able to sow into the churches/independent ministries who are committed through membership through association, it is required that a bank account remain open in the ministries name. No checks will be written to individuals for the purpose of sowing into the ministry. At this present time there is no application fee for joining us in covenant fellowship through association or affiliation.There is also presently no yearly assessment for churches or leaders who hold our credentials. However, it is mandatory that all churches and associated ministries pay the registration fee and attend convocation, leadership sessions, retreats, workshops, etc that we hold throughout the year. It is imperative that we realize the need to sow into the Kingdom Of Christ Church Ministries Fellowship Of Churches throughout the year as we are able. There should be a willingness out of covenant fellowship rather than a mandate to contribute to the financial welfare of the Kingdom Of Christ Church Ministries Fellowship Of Churches as directed by the Lord. Churches and independent ministries who tithe (10% of church income) experience many beneficial blessings as a result of tithing. You should agree to actively participate in building the Kingdom of God, through this body, to the best of your ability building healthy relationships with other ministry leaders in this Fellowship. Leaders are expected to coordinate church/ministry calendars and come together in support of other fellowship churches and their leadership for the mutual benefit of each other when possible. There must also be a willingness to submit to accountability in which you are able to receive correction when behavioral or doctrinal error is detected, and humbly take corrective measures to correct these errors when they are justified. Remain in agreement with the statement of fundamental truths, mission statement, and vision of the Kingdom Of Christ Church Ministries Fellowship Of Churches. We, as the Kingdom Of Christ Church Ministries Fellowship Of Churches, retains the authority to remove a church/independent ministry from membership/affiliation if it is non-compliant with our mission, vision, core values, and statement of fundamental truths. We are so excited that you have shown an interest in the Kingdom Of Christ Church Ministries Fellowship Of Churches. We realize that because of our holiness tradition we may not be a good fit for all. Therefore we ask that you read this list of frequently asked questions that are asked before considering joining a reformation. God is bringing together a people who will worship him in spirit and in truth. Becoming a part of this Fellowship is both simple and easy. All you have to do is complete one of the above applications and mail it to our headquarters. If one becomes a part of the Fellowship, must he/she change the name of their church to “Kingdom Of Christ Church Ministries Fellowship Of Churches”? NO. The local church, group of churches, or independent ministries are welcomed to if they wish. However, will NOT be required to carry the “brand” of our organization to order to show that they are in covenant fellowship with organization. Our intent is not to excessively promote ourselves but provide the tools needed to "build the Lord's church". Each church/ministry will be an autonomous body and, therefore, must have its own charter/bylaws. If the church/ministry is just starting out, we can assist in establishing its charter/bylaws. Must one leave their present affiliation to enter into covenant agreement with us? NO. We are a Fellowship that comes together to fellowship with the Lord and each other. Feel free to do what works for you and your organization as long as the statement of fundamental truths or doctrine does not conflict. What we provide is a higher level of accountability and spiritual oversight. However, If you are seeking to be officially installed by us you must submit yourself and your church to the bylaws and statement of fundamental truths of our organization. Churches who are installed by us must abide by the guidelines of membership through association as members rather than affiliates. What is requested of me and/or my church/independent ministry? You the individual, and if applicable the local church/independent ministry is asked to attend leadership and training sessions, participate in fellowship of churches services, and attend Convocation. The associated and affiliate churches shall embrace and govern themselves according to the beliefs and statement fundamental truths of the Kingdom Of Christ Ministries Fellowship Of Churches. What are some of the privileges of association through covenant fellowship? First, lets define covenant. Cov·e·nant is an mutual agreement, an undertaking in which a commitment is made through a pledge or bond in which both parties have a full understanding of what is required of them. Covenant is a intricate framework which requires trust in leadership, the fulfillment responsibilities, and accountability. When looking at covenant view it as a three fold rope. Ecclesiastes 4:9 lets us know that two are better than one. An important key to effective ministry in a day when most leaders do not feel the need to be accountable or subject to anyone. However scripture provides insight as to the benefits benefits of covenant where we can find strength, peace, and even profitability. There is also the greater benefit of protection: Ecclesiastes 4:12 lets us know that a three fold cord is not easily broken, we do for one another not out of a desire to be seen, but because of our love for each other and the responsibility to fulfill the call of God on our lives. Spiritual covering for pastors and ministry leaders, that desire a father/son, father/daughter covenant with our founder Bishop Anthony M. Walker. Spiritual covering also provided for the churches also assigned to his charge. Which includes but is not limited to the mediation of church and ministry crises, when appropriate. Churches and independent ministries will be able to receive guidance from the Kingdom Of Christ Ministries Fellowship Of Churches Presbytery and Executive Board. Which includes but is not limited to the mediation of church and ministry departmental concerns, when appropriate. Ministry Development- Training and Mentorship. Lay ministry leaders needing assistance with administrative and departmental structure. Bishops Including but not limited to: organization, ecclesiastical order, and structure. Training and spiritual support for Churches and Ministries. Spiritual accountability and ministerial credibility through association and affiliation.